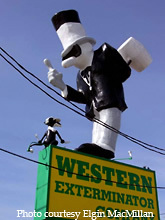 Here's another Western Exterminator guy, similar to the one located in Long Beach, CA. 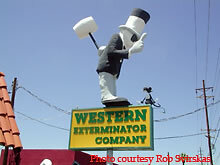 Western Exterminator is a pest control company in Arizona, Nevada, and California. 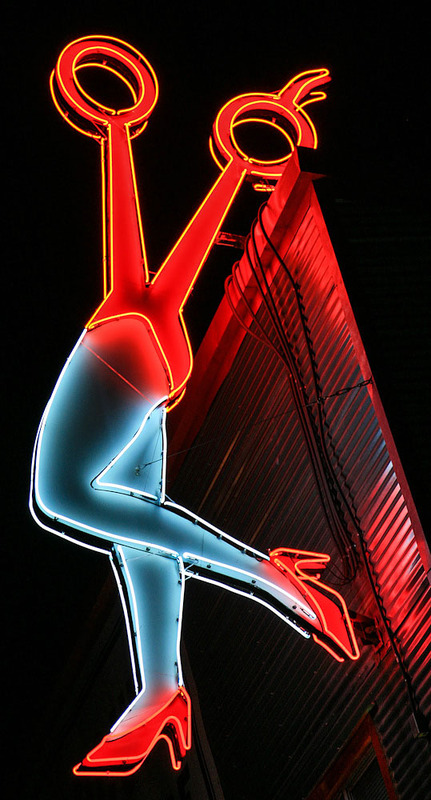 Their "Little Man" logo was created in 1931. Though he was originally named "Kernel Kleenup", the name never stuck. 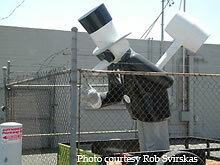 The signage and trailer-towed Little Man photos were taken at a Western Exterminator facility in Phoenix. 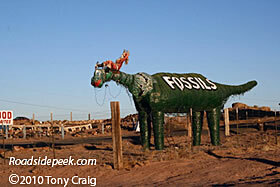 Here's a real roadside find. 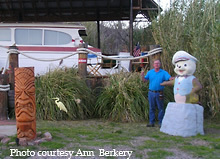 Yes, it's Harbie, located in the Shady Dell RV Park in Bisbee, AZ. The Shady Dell is a park wherein the "motel rooms" are refurbished trailers from the 50s, a converted bus, & a propped up cabin cruiser. Lo & Behold , there in front of the yacht, stands a Harbie, kind of faded but bravely holding up to cold, dry desert winds.